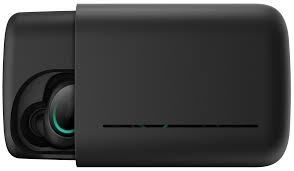 The Dash by Bragi looks like something out of my favorite science fiction shows. They are futuristic in appearance, small and completely wireless. Being able to wear earphones without any type of wire is an amazing experience! I am the type of person that will accidentally tug on, or get an earphone wire caught on something and inadvertently yank it out of my ear, not to mention that they get all tangled up in my purse; not so with The Dash. I think that they are a game changer when it comes to wireless earphone technology. 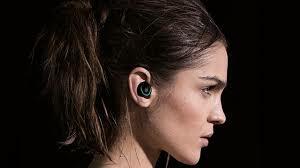 Plus they are the first truly wireless earphones available on the market and Bragi has done an excellent job! 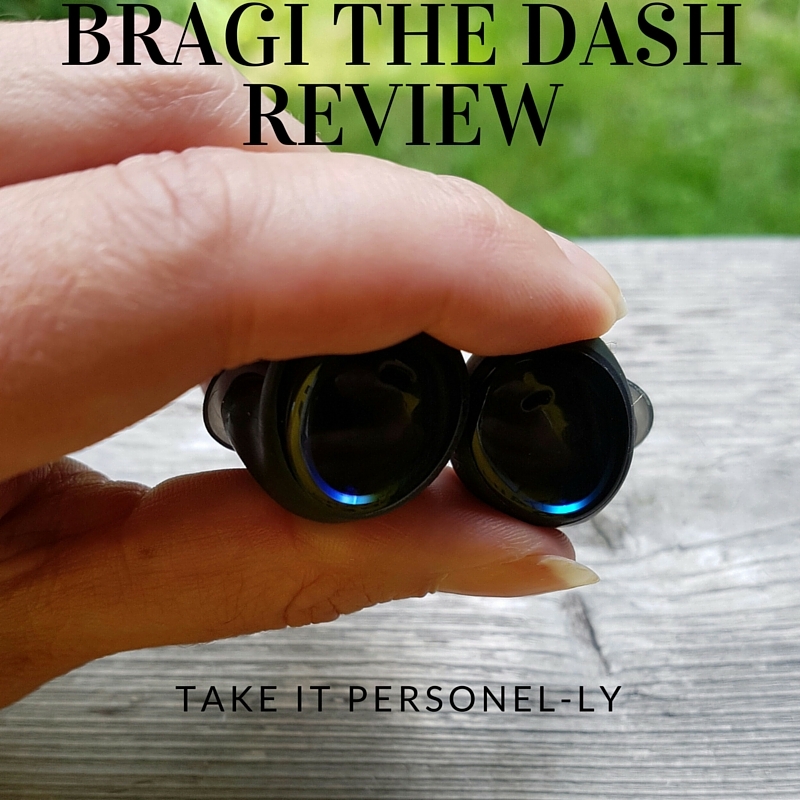 I was super excited to receive The Dash from Bragi. Bragi is a German based company that tackled the problem of designing a truly wireless smart earphone and raised over $3 million dollars on Kickstarter in 2014. But Bragi wants The Dash to be known for more than just being a wireless smart earphone. 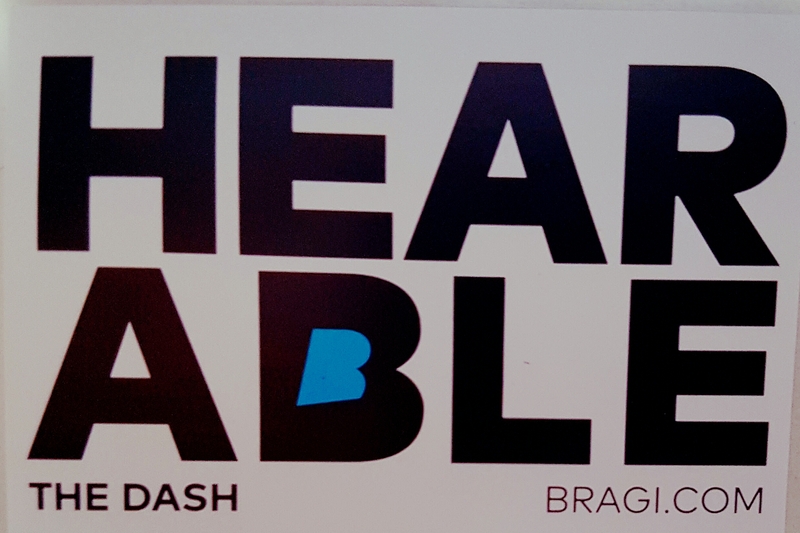 Bragi wants The Dash to be known as a Hearable – a 3 in 1 device which allows you to listen, track and communicate. The Dash comes nicely packaged in a box that also houses a cardboard book which takes you through the basics of setting up The Dash. You can use The Dash in combination with your smartphone with the free Bragi app which is available for Android, iOS and Windows or you can use them as a standalone device. I was a bit skeptical at first site as I wondered how comfortable they would feel and if I would have problems with them falling out my ear. For some reason, I have had issues with every pair of earphones that I have ever owned, having them stay in my left ear. It inevitably falls out and I have no clue why. Even why I try different sized ear buds they will not stay in my left ear. I wondered if this would happen with The Dash. I popped them out of the box and put them in my ears as instructed. The Dash comes with 4 different FitSleeves to ensure a perfect fit. I use the extra small (xs) ones. They are super comfortable to wear and they don’t fall out! 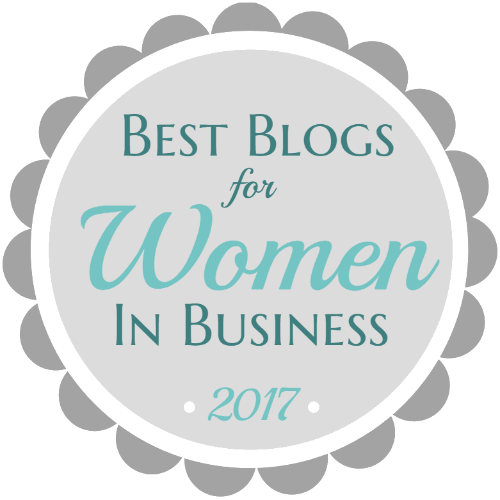 I tried shaking my head vigorously and nothing – they stay put – even in my left ear which has consistently been trouble for me in the past. This is great news for athletic types as well. Whether you are wearing them for running, cycling or swimming it appears that they will stay put. How Does The Dash Work? 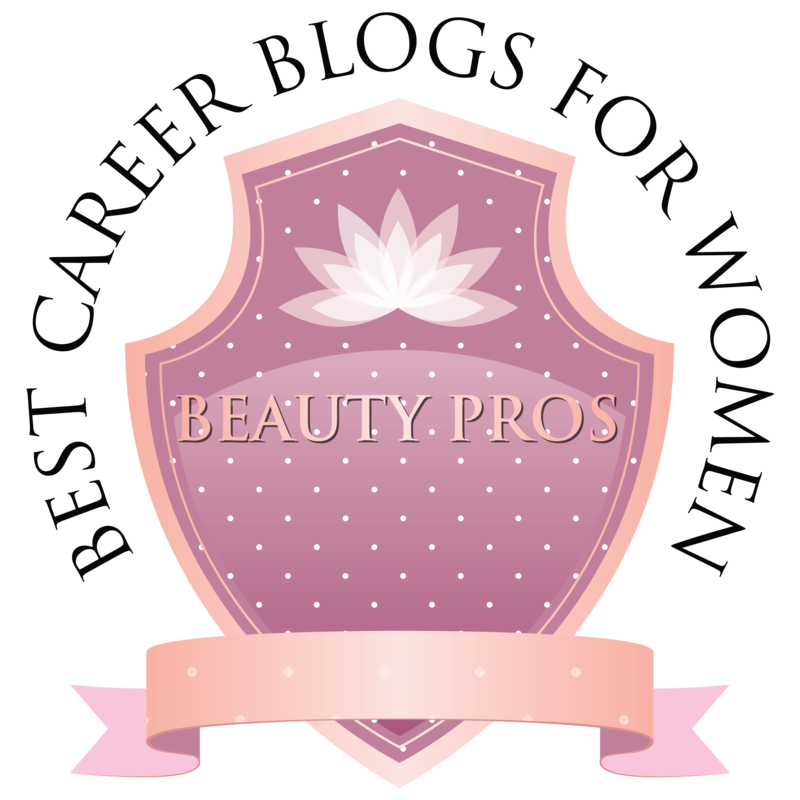 It is a very cool experience when you first put them in and try them out. It is like the music is magically coming from somewhere inside your head rather than from earphones. The outside of The Dash is made from a smooth plastic, while the inside is made of rubber which grips to the ear. Once you place both earbuds in your ears they connect to each by using a technology called near-field magnetic induction (NFMI). NFMI works by creating a communication bubble around your head. Each Dash earbud houses 23 sensors which can track your activity and your heart rate, respond to gestures and the environment, and much more. Each future OS update will improve The Dash and continually make them the most innovative earphones on the market. 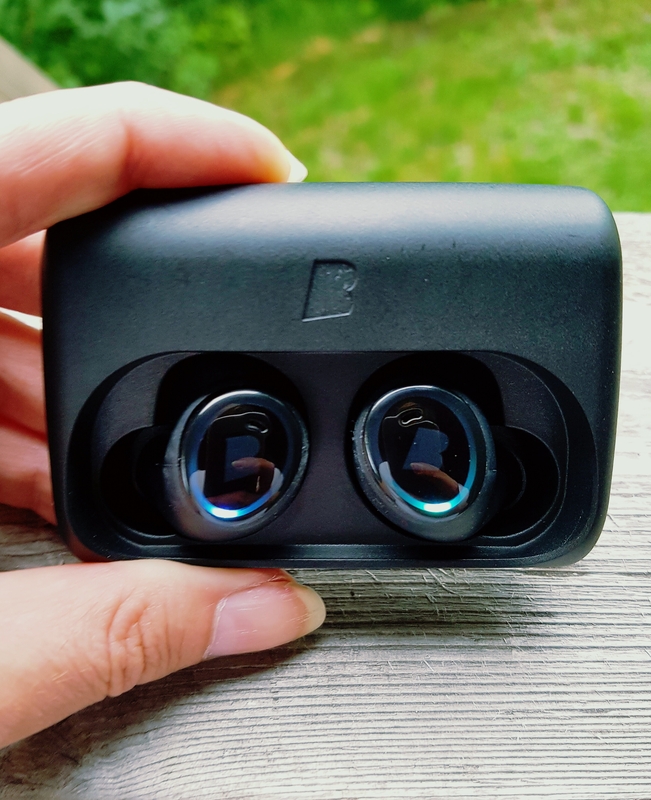 The Dash recently received its latest update to Bragi OS 2.0 on July 11th. This was the first time that I updated the firmware running on The Dash since receiving them. 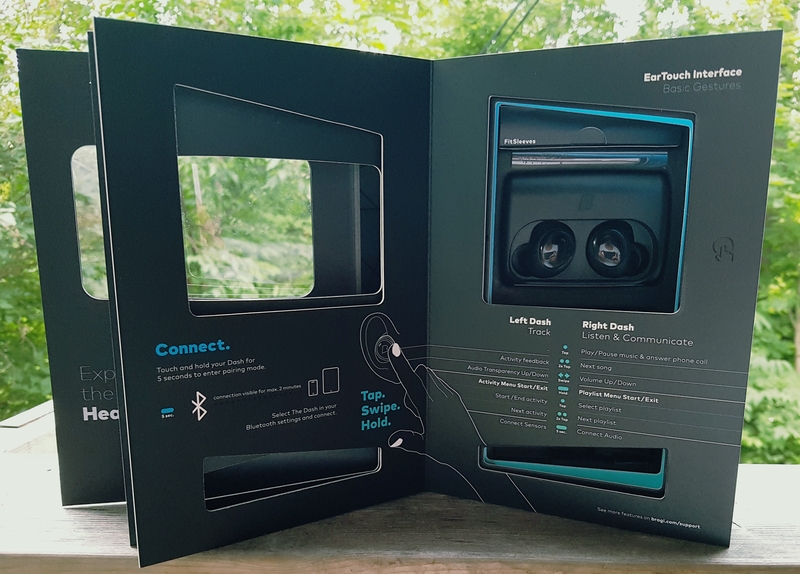 I followed the instructions provided by Bragi and had no issues updating The Dash. The updating process took approximately an hour after having uploaded the new Bragi OS 2.0 to the earbuds. Once the blinking of the LEDS subsided, I put them back in my ears hearing the phrase “The update was successful”. I then had to reconnect them to my smartphone via Bluetooth and I was back in business. The Bragi OS 2.0 has improved the performance of The Dash tremendously. Before the update I found that connectivity via Bluetooth could be troublesome when my phone was in my pocket or purse, especially when it was windy out. Since the update the connectivity issues have greatly been improved. I can now keep my phone in my purse while listening to music and it does not break up. This update has improved The Dash so much! I can’t believe the difference it has made to the overall performance of The Dash. The Dash is set up so that each earbud controls different aspects of it. The left Dash is for tracking, while the right Dash controls the listening and communicating features. The soft plastic exterior allows you to swipe, tap or double tap the earbud’s touchpad, which is located on the bottom half of the plastic side. The touchpad works well whether indoors or out, and it does not take long to learn what action performs what on The Dash. One of the coolest features for navigating The Dash are called ‘macros’. Currently there is only an option available for answering your phone call or rejecting it. When enabled you can nod your head ‘yes’ to answer a phone call or shake your head ‘no’ to reject a phone call. I am sure future updates will allow for some interesting macros to be added to The Dash and for the ability to program your own. The Dash has 4GB of internal storage which you can use to pre-load your own music if you don’t want to carry around a phone while running or cycling. 4GB allows you to add approximately 1000 songs; I find this particularly useful for swimming. 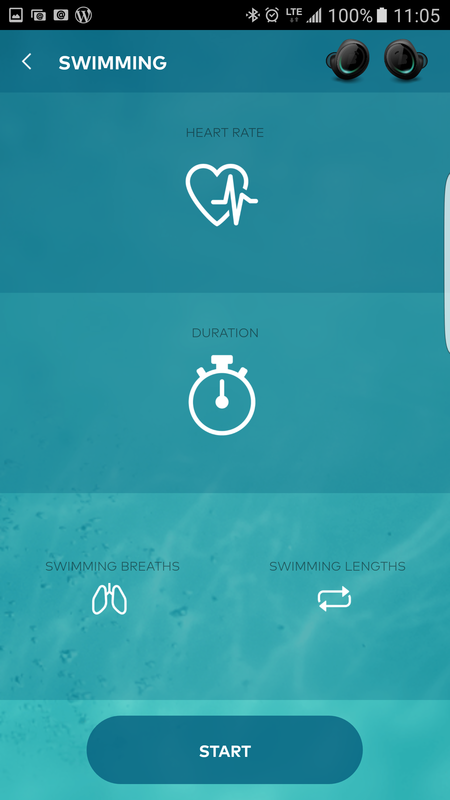 Yes – The Dash is waterproof and you can wear The Dash while swimming or even in the shower if you want. Otherwise you can connect The Dash to your phone via Bluetooth and use the music player on your phone. As I mentioned previously, the connectivity has been improved with the latest OS 2.0 update. The sounds quality is very good too. The latest update lets you increase the volume a bit more than previously but a warning does sound when the Maximum Safe Volume has been reached. 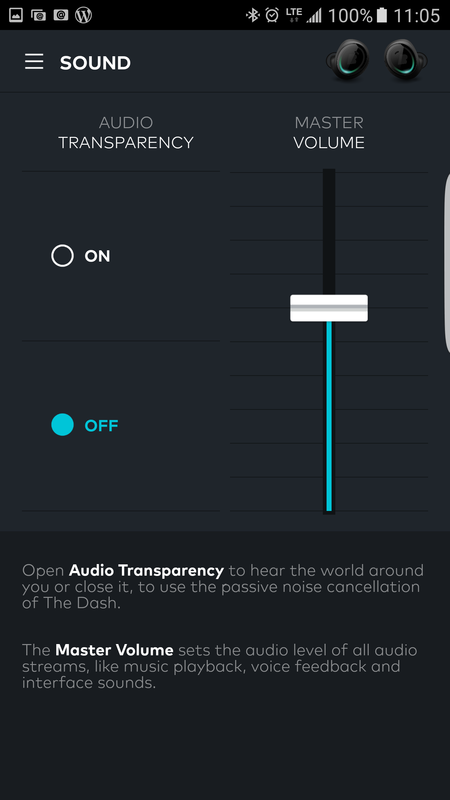 For those who like to listen to music on the go but still want to be aware of what’s going on around them, there is a cool feature on The Dash called ‘Audio Transparency’. When this feature is turned on, it will amplify the sounds of your ambient environment. Audio Transparency enables you to hear what is going on around you as well as engaging in a conversation without having to remove The Dash from your ears. The Dash recommends that you consider the situation in which you use the Audio Transparency and keep the volume at a level where you can still hear your ambient environment and pay attention to your surroundings e.g. when riding your bike in heavy traffic. The Bragi OS 2.0 update has provided added functionality to the activities portion of The Dash. 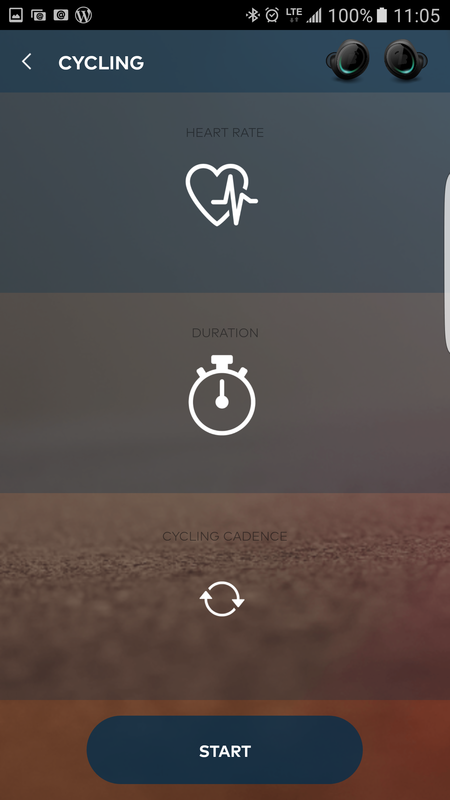 The Dash now provides automatic audio feedback for your average heart rate for Running, Cycling and Swimming. 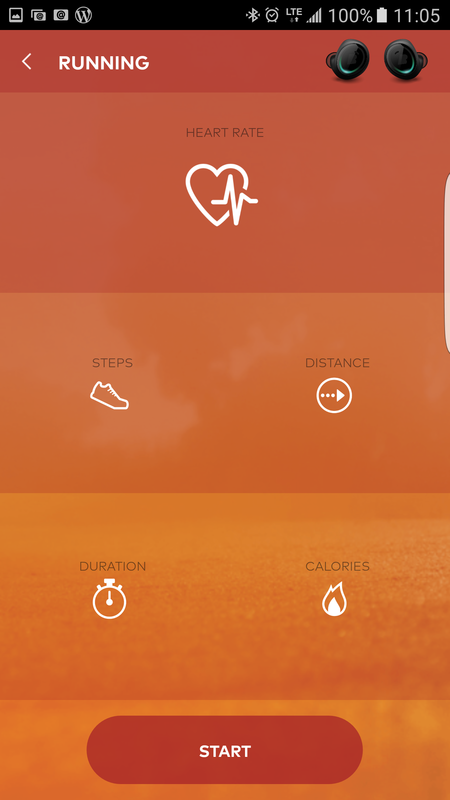 The running activity now also provides the current distance, number of steps and duration of the run, so that you now have even more detail about your performance. Note that if you use The Dash on its own while running (with the 4GB of internal storage), that it cannot collect GPS data. Swimming has added breaths and lengths, and cycling has added cadence. It is also important to download the latest version of the Bragi App on your phone so that you can experience The Dash to its fullest once you complete the Bragi OS 2.0 update. You can use The Dash to answer phone calls and make them via voice commands through your phone. 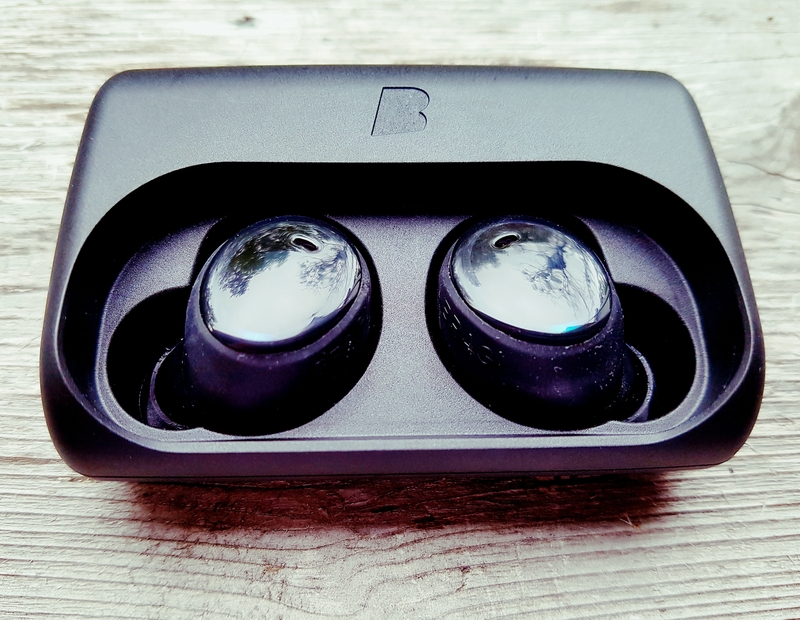 The Bragi OS 2.0 update has improved the sound quality of phone calls. So, whether you are in a quiet room or on a busy street, the person on the other end of the phone call can hear you. I also tested the communication function for activating ‘Google Now’ on my phone by saying ‘Ok Google’; it worked perfectly. The Dash will last approximately 3 hours before it needs to be charged. I tested the battery life myself, listening to music while on the bus and working at my computer and the 3 hour claimed battery life is accurate. The great news is that The Dash’s carrying case doubles as a portable charger, with a 2,200mAh battery built in. It’s officially good for about five full charges of the Dash and I have tested it out, and that claim proves true as well. Besides being a portable charger, the case prevents The Dash earbuds from getting lost while not in use. It is a pretty nice case too! It is made out of aluminum and protects them very nicely. I love The Dash! They are my go-to earphones that I bring with me everywhere now. Besides the coolness factor, and not having any wires whatsoever, the features and sound quality are excellent! The Dash will only get better with every update that Bragi offers too, so I think that they are worth purchasing. 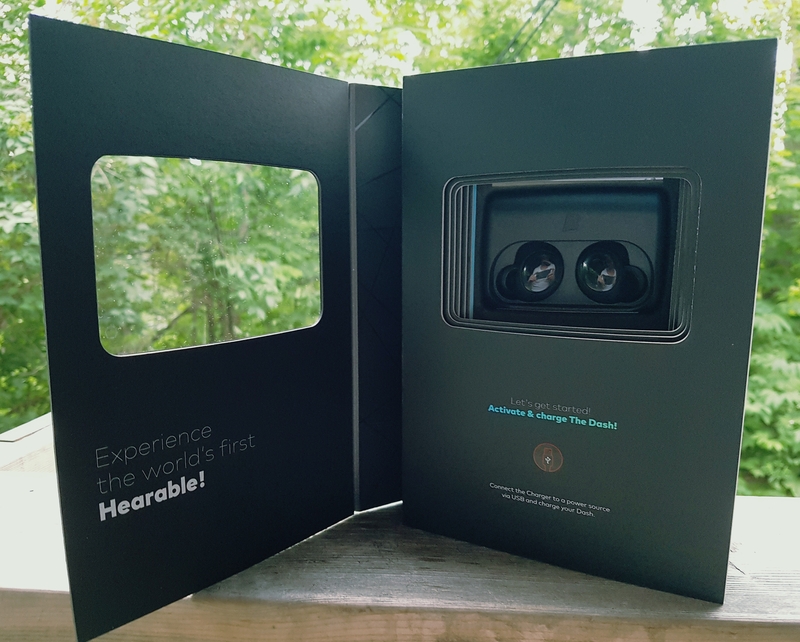 If you already own The Dash, then I suggest updating to the new Bragi OS 2.0 as it will make a tremendous difference to the overall performance of The Dash.